I seem to like the ice cream shops with the long lines. The wait doesn’t bother me; in fact, it allows me to do other things like imagine which ice cream flavors the strangers in front of me are going to pick. Haha, I am not sure what thoughts other people think of in these long lines waiting to see the flavors, but I usually try to imagine why people pick the ice cream that they do. I think that the combination of choices is slightly telling of the personality they have or the mood they are in. Then, there are those ice cream flavors we try on a dare or a whim. If you asked us a few hours later, we may not pick that flavor again. I mean, who would try eating the herbaceous basil ice cream if you had other more delectable and normal choices? 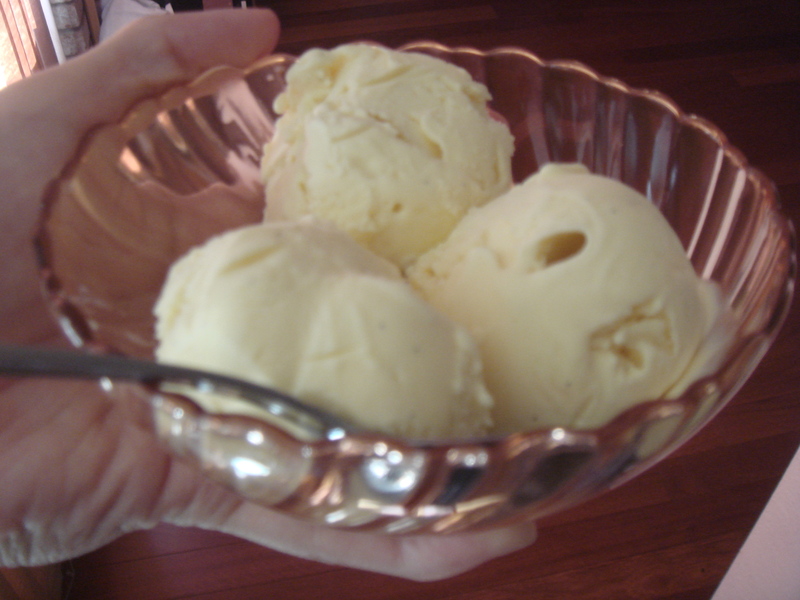 FYI: basil ice cream is delicious with its delicate anise notes and works great as a palate cleanser. Who knew? And then there are other flavors that lie somewhere in between that spectrum of weird and boring. For the curious but not ambitious, it’s the perfect harmony of trying something new without fretting whether that flavor would be the unsavory scoop of ice cream that will have to be swallowed down fast. At least, that’s where I stood with the idea of toasted coconut ice cream. What is toasted coconut ice cream supposed to taste like anyway? Is it more toasty or coconut-like? Is it like a fabulous coconut cream pie in ice cream form? Well, if it even resembles Tom Douglas’ coconut cream pie, I am sold. 1. Preheat the oven to 350°F (175°C). Spread the coconut on a baking sheet and bake for 5 to 8 minutes, stirring it frequently so it toasts evenly. Remove it from the oven when it’s nice and fragrant and golden brown. 2. In a medium saucepan, warm the milk, 1 cup of the heavy cream, sugar, and salt and add the toasted coconut. Use a paring knife and scrape all the vanilla seeds into the warm milk, then add the pod as well. Cover, remove from the heat, and let steep at room temperature for 1 hour. 3. Rewarm the coconut-infused mixture. Set a mesh strainer over another medium saucepan and strain the coconut-infused liquid through the strainer into the saucepan. Press down on the coconut very firmly with a flexible rubber spatula to extract as much of the flavor from it as possible. Remove the vanilla bean halves (rinse and reserve them for another use), and discard the coconut. 4. Pour the remaining 1 cup heavy cream into a large bowl and set the mesh strainer on top. In a separate medium bowl, whisk together the egg yolks. Slowly pour the warm coconut-infused mixture into the egg yolks, whisking constantly, then scrape the warmed egg yolks back into the saucepan. 5. Stir the mixture constantly over medium heat with a heatproof spatula, scraping the bottom as you stir, until the mixture thickens and coats the spatula. Pour the custard through the strainer and stir it into the cream. Mix in the vanilla or rum and stir over an ice bath until cool.